My favorite part of today’s PAD is how nonchalantly this young girls is checking her cell phone, ho-hum. Great shot Steve. I really like this one a lot. 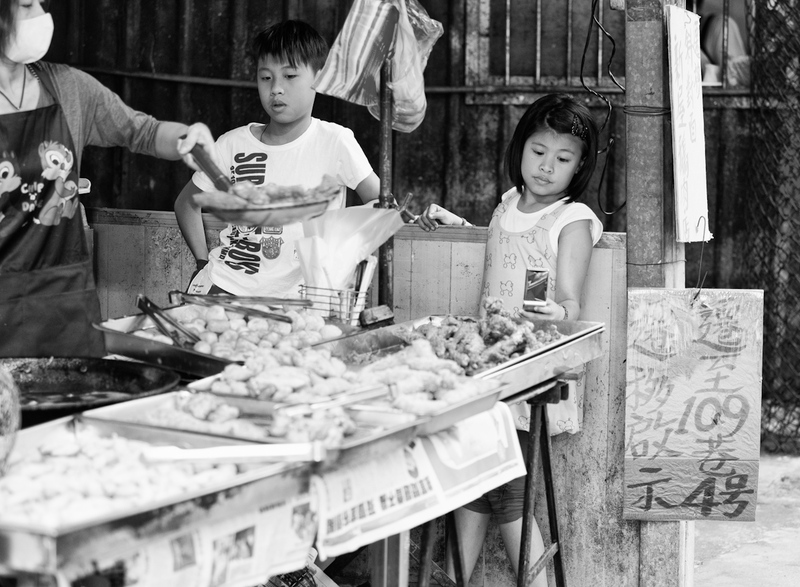 The young girls expression, the boys interest in the food and the mom who obviously does this a lot and the product of her hard work on the table in front of her, all together make for a really great “street photography” shot. I think you should consider entering this one in the jpgmagazine contest.